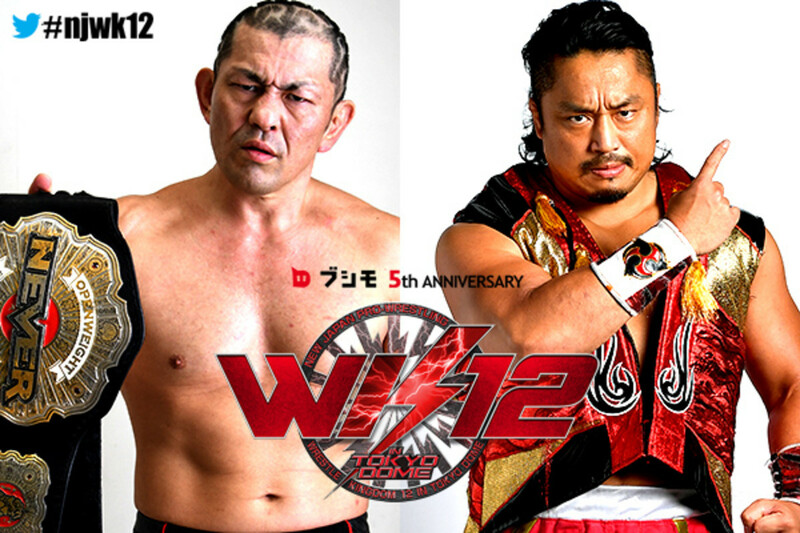 With New Japan Pro Wrestling having no more shows between now and the Tokyo Dome, the full card for Wrestle Kingdom 12 has been revealed. There will be 10 matches on the show. Most of those had already been announced going into NJPW's Road to Tokyo Dome events, but two more title matches and the pre-show Rumble have now been confirmed. NEVER Openweight Champion Minoru Suzuki will officially defend his title against Hirooki Goto in a hair vs. hair match, with another stipulation being that no other wrestlers will be at ringside for it. The NEVER Six-Man Tag Team titles will also be on the line in a gauntlet match at the Dome. It will be champions Bad Luck Fale & Guerrillas of Destiny vs. Tomohiro Ishii, Toru Yano & Beretta vs. Togi Makabe, Juice Robinson & Ryusuke Taguchi vs. Michael Elgin & War Machine vs. Zack Sabre Jr., Takashi Iizuka & Taichi. This will be the fourth year in a row that the New Japan Rumble has taken place on the pre-show. No wrestlers are announced for it in advance, and it features regulars from the current roster and some familiar faces from the past.